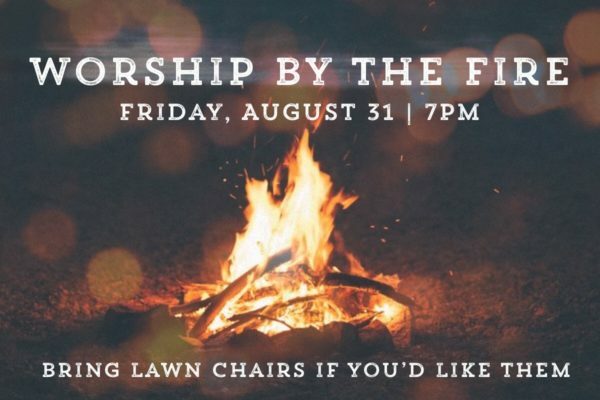 “Worship by the Fire” will be a no frills, relaxed time of worship with acoustic music. We’ll gather together for a bonfire, have a few marshmallows & s’mores and then sing some familiar songs and old favourites as the sun goes down. All are welcome. Let’s make a joyful noise in the great outdoors! If you’d prefer to sit, bring a lawn chair.